Last November, my boyfriend and I decided to self-drive from Taipei to Taichung as we wanted to control our budget and not overspend on hiring local drivers to bring us around. 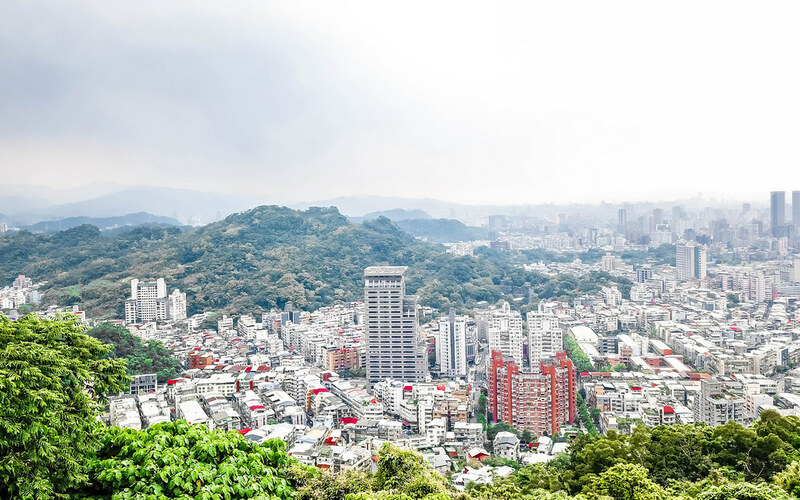 For those who are visiting Taiwan for the first time, Taipei is probably the first city you’d head to. 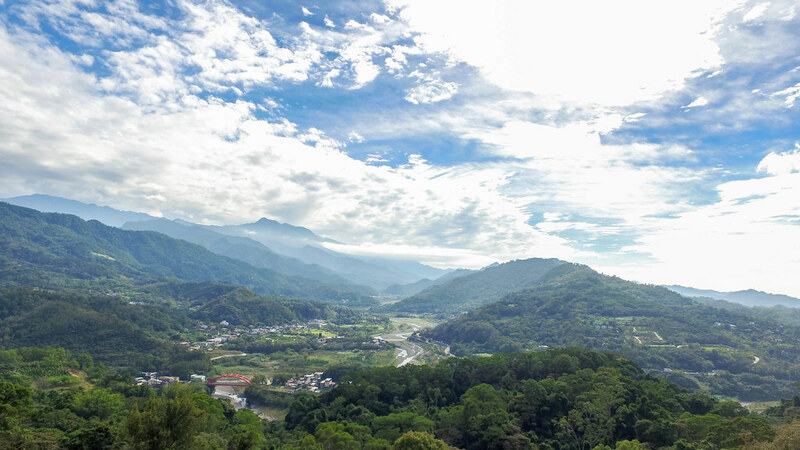 However, I feel that you should allocate a few days to explore beautiful Taichung too. 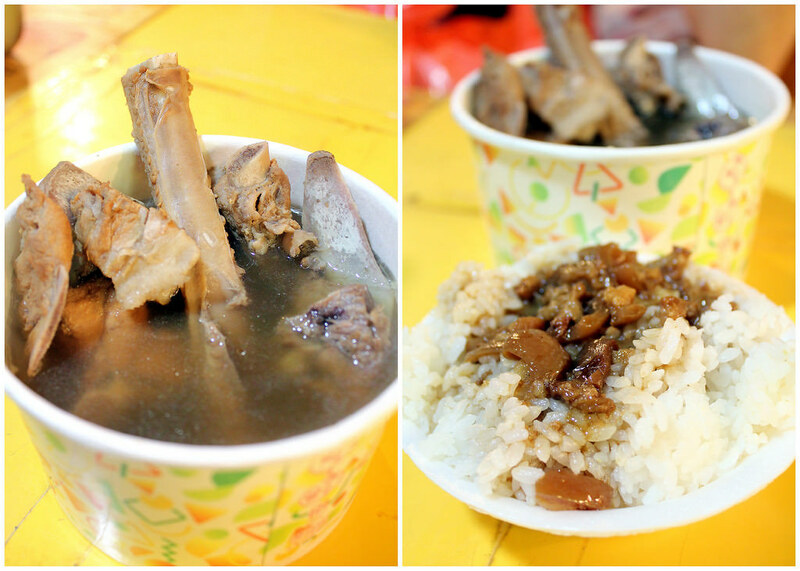 Read on to find out what my boyfriend and I discovered over the period we were in Taiwan. 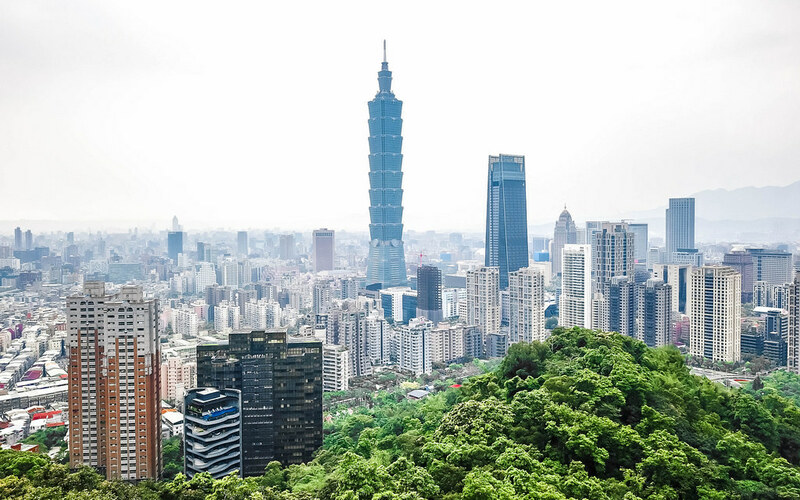 You can enjoy a relaxing shopping spree around the Xinyi district in the morning, head up to Taipei 101 to get a 360-degree panoramic view of the city, and have lunch at the famous Din Tai Fung restaurant before hiking the Elephant Mountain around late afternoon. 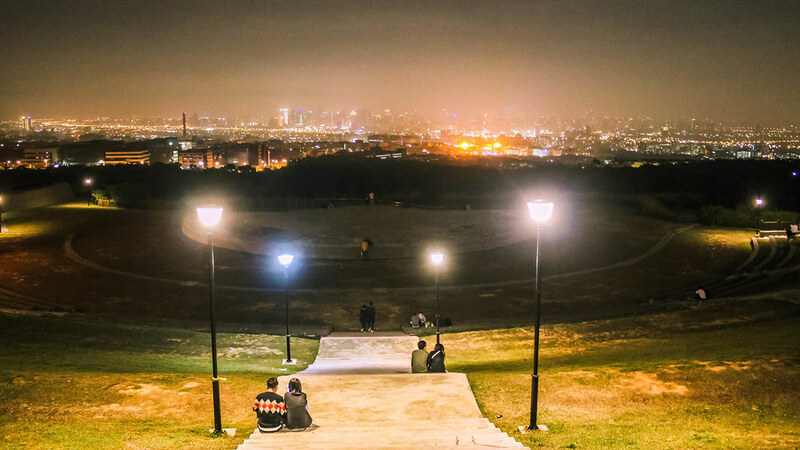 This way, you get to see the city during daytime, catch the spectacular sunset, and enjoy watching the city light up at night. 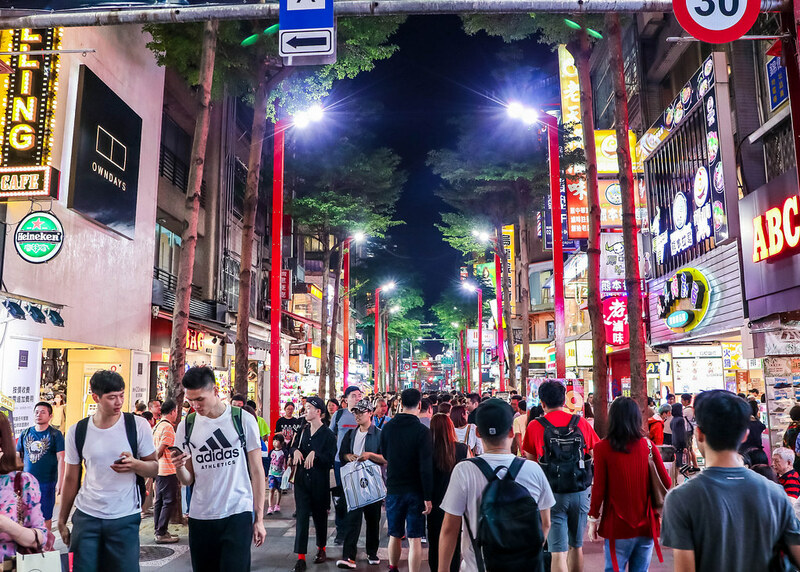 Continue your shopping spree at Ximending, Taipei’s most vibrant shopping and entertainment district, before calling it a day. 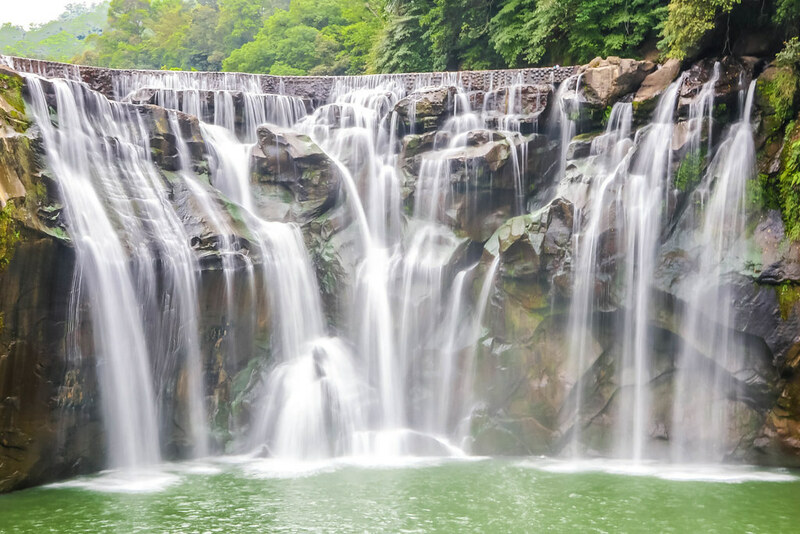 Start the day with a visit to the 40-metre wide Shifen Waterfall which is the most well-known cascading waterfall in Taiwan, and it is nicknamed as the “Little Niagara of Taiwan” due to its horseshoe shape and its powerful flow. If you’re one who likes chasing waterfalls, I’d say skip the rest and just head directly to the Shifen Waterfall. After exploring a few waterfalls and getting feedbacks from a number of Taiwanese drivers, I can vouch that the Shifen Waterfall is the most scenic waterfall in Taiwan. Have a lunch break at Jiufen Old Street that is worth a visit, but I’m always turned off by the sheer number of tourists here. You should avoid going on a weekend. The maze of narrow lanes and alleyways are rich in history and culture. 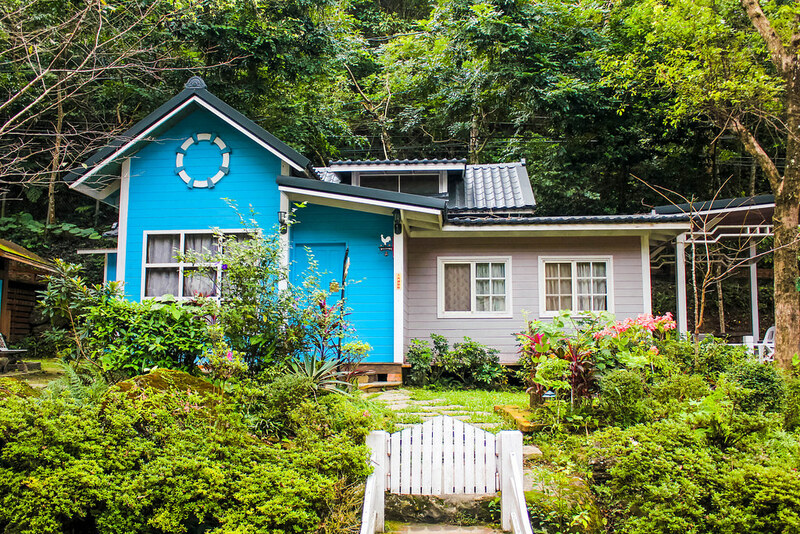 There are numerous retro style cafes, tea houses, and eateries offering local delights, and souvenir shops. 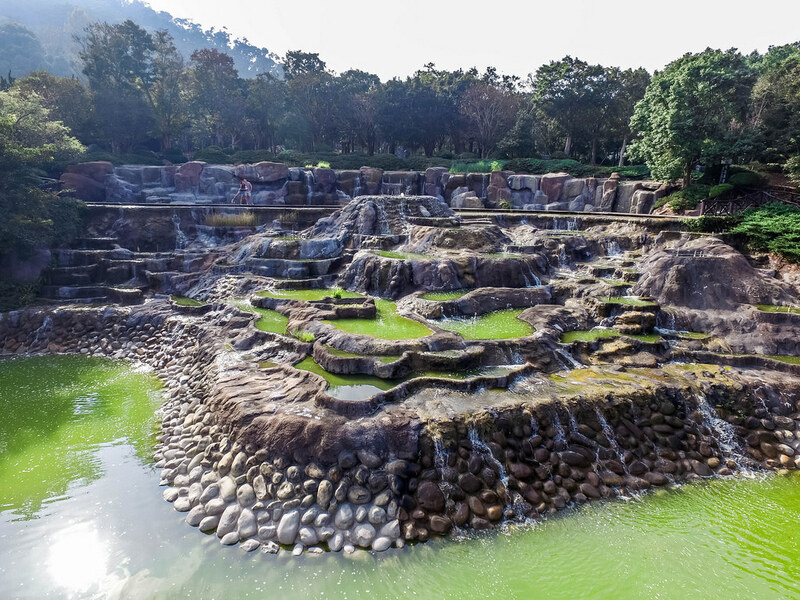 Stop by a non-touristic place – the Camel Rock – before ending your day at Laomei Green Reef. The Camel Rock located on Pirates Beach features spectacular rock formations caused by sea erosion. 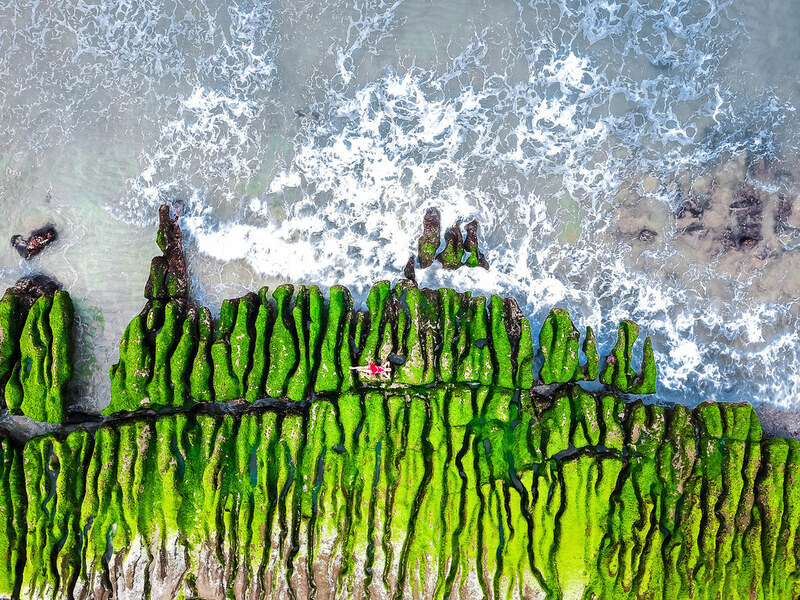 As for Laomei Green Reef, it’s best to visit during April and May, due to the incredible phenomenon that only takes place during these two months. The gorgeous stretch of structured volcanic rocks along the coastal shoreline is caused by the Datun volcanoes eruption many centuries ago. 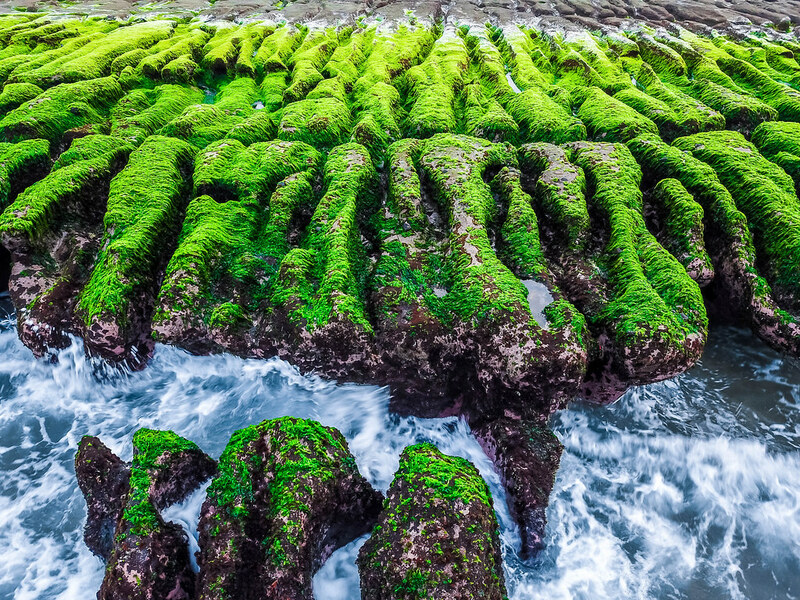 The rocks are submerged in the water for long periods of time and there are vibrant green algae covering these neat rows of stone troughs which create a rare and unique sight. 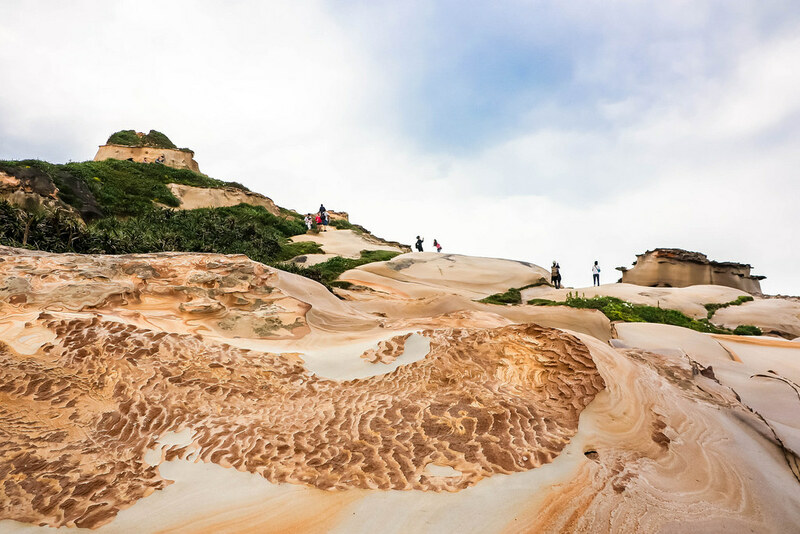 Even without the special phenomenon, you can still visit this place and laze around on the beautiful beach. 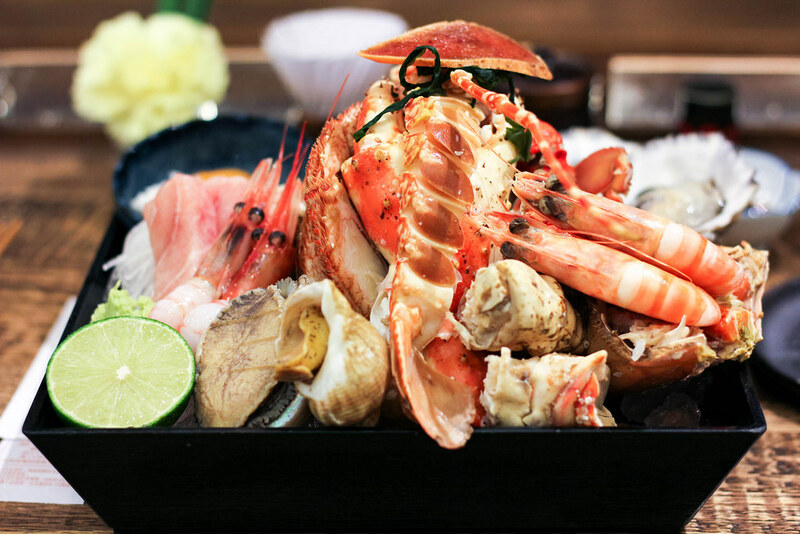 Indulge in fresh seafood for brunch at the Addiction Aquatic Development, a modernized fish market in Taipei, featuring 10 different concepts. This large space houses a live aquamarine area where temperature controlled tanks contain live seafood from all over the world, providing consumers live fish processing and cooking services – freshness guaranteed! 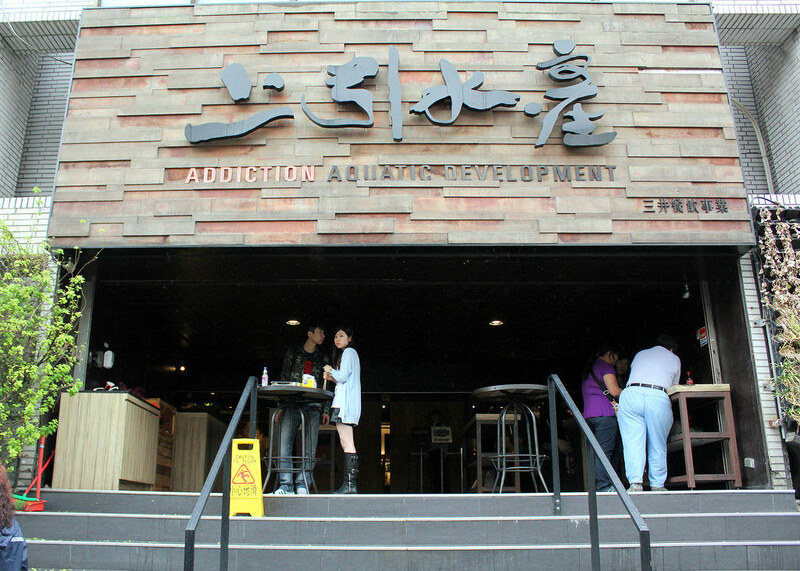 There is also an area with different eateries, specializing in serving fresh seafood prepared with different cooking methods. With the choicest ingredients such as fresh raw oysters, shrimps, and crabs, that are reasonably priced, my boyfriend and I enjoyed our seafood platter for 2 at $60 SGD. 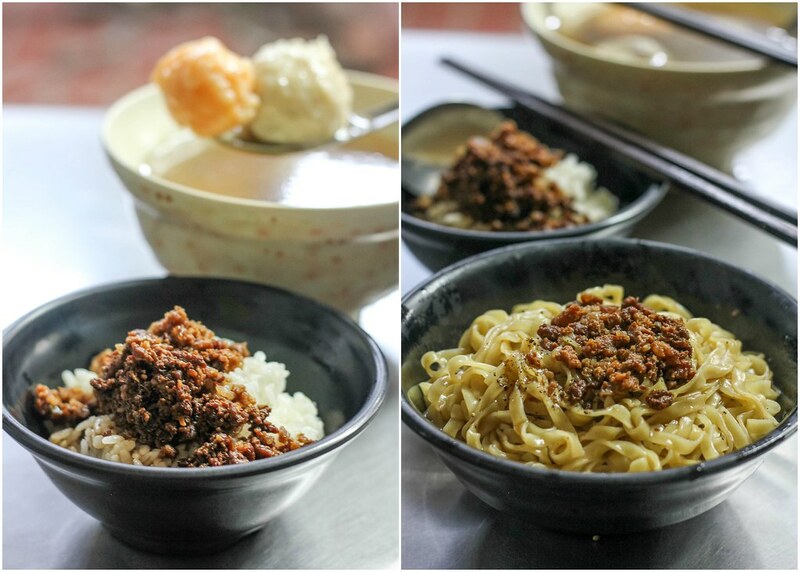 After the satisfying meal, head to Wufenpu and shop till you drop. 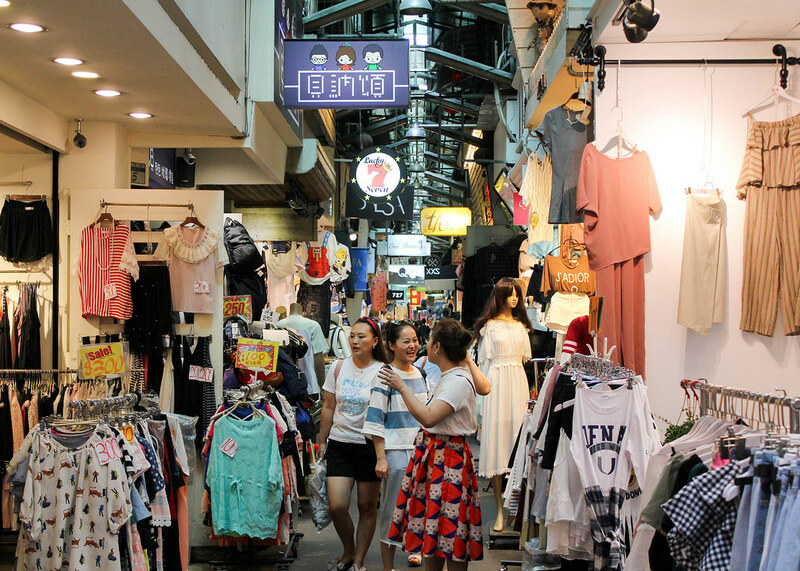 As compared to the Xinyi district and the Ximending neighbourhood, the clothes, bags and accessories sold at Wufenpu are priced very low so you might get the best deals in town. 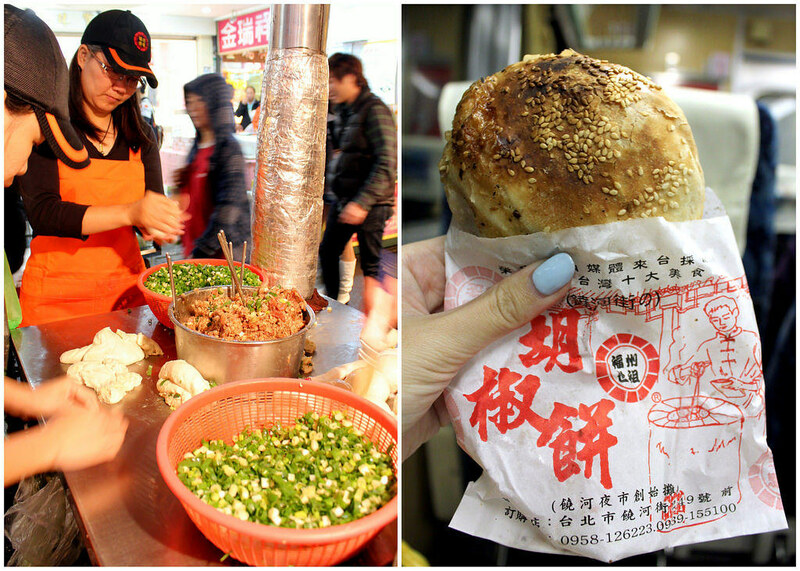 Besides, Wufenpu is located just a stone’s throw away from the Raohe Night Market. 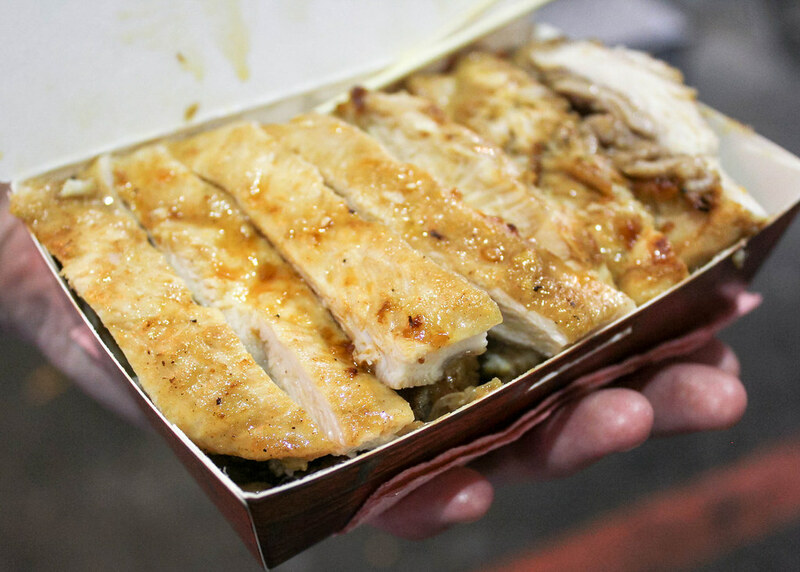 Treat yourselves to delicious local street food after you’re done shopping! 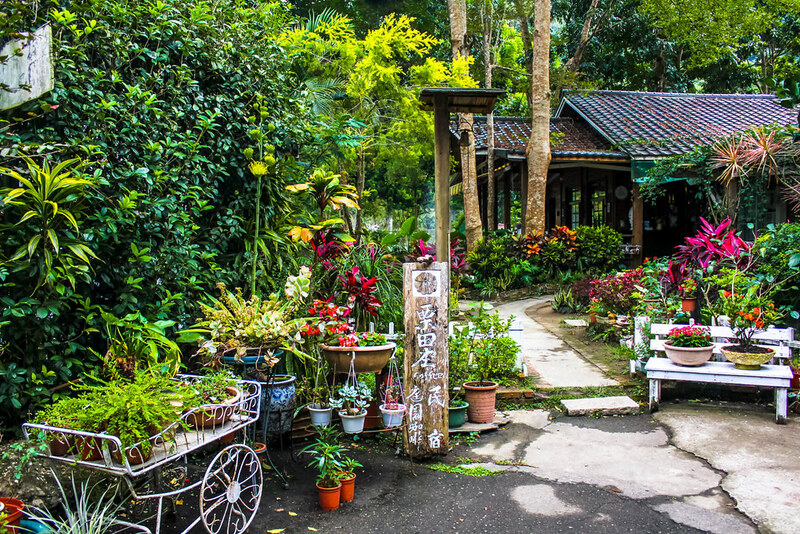 The drive from Taipei to Taichung is very long, so I recommend stopping by the Nanzhuang county for a night before you continue your journey to Taichung. My boyfriend and I stayed at the peaceful LTC Villa. It isn’t a luxurious accommodation, but one that’s homely and offers picturesque views. We spent the afternoon at the Lion’s Head Mountain Scenic Area. The mountain is said to resemble the head of a lion, hence the name. 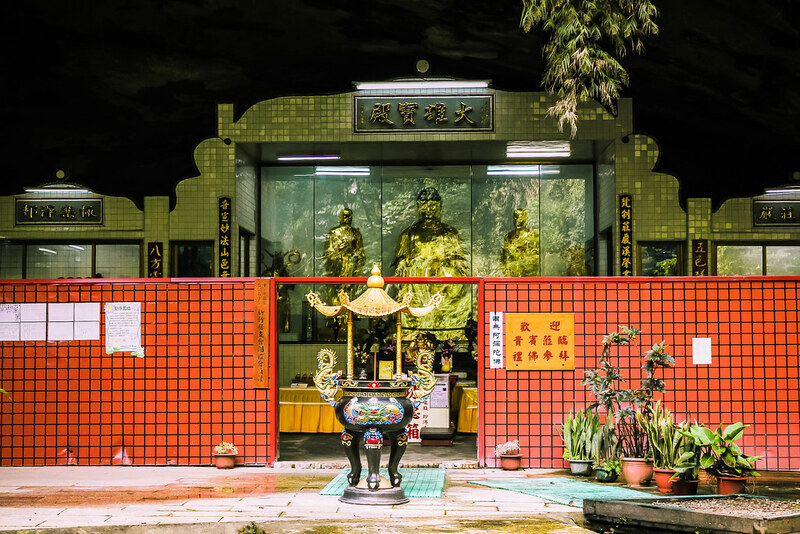 It is home to a wealth of historic temples and natural wonders such as the Shuilian Cave (Water Curtain Cave). 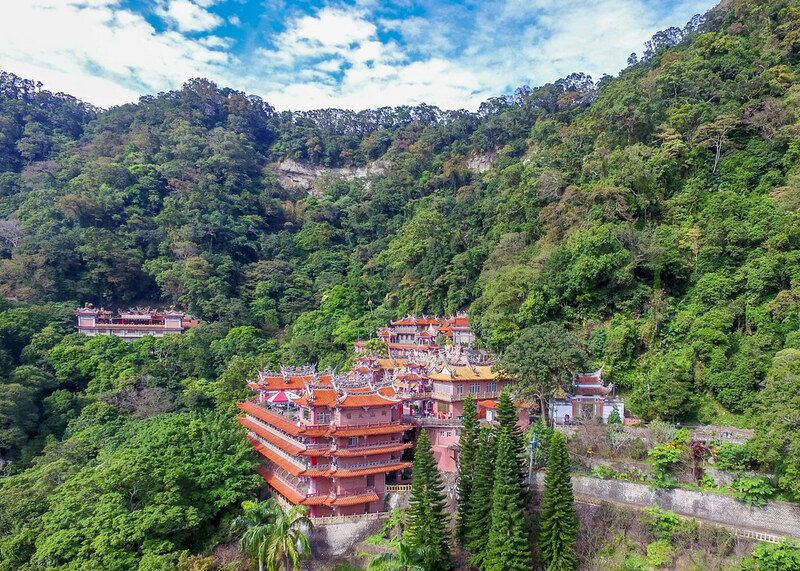 There are scenic hiking trails which lead you to dozens of Buddhist temples in the region. 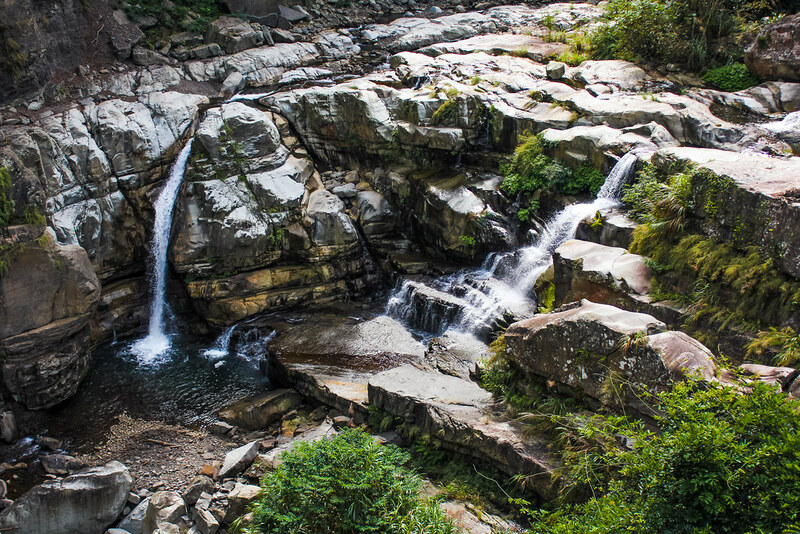 Located about half an hour’s drive from Nanzhuang Old Street lies Shenxiangu Waterfall. The route to the waterfall was damaged but a new restaurant was built nearby, so the restaurant owner built a wooden walkway leading to the waterfall from the restaurant. It was thrilling to walk along the hanging bridge to get good views of the waterfall. 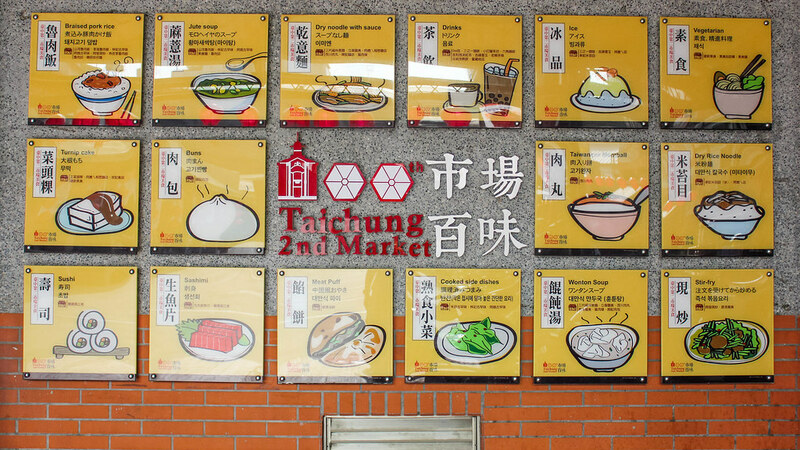 After popping by the waterfall, my boyfriend and I headed straight to Taichung, and our first stop was the Zhong She Guan Guang Flower Market. 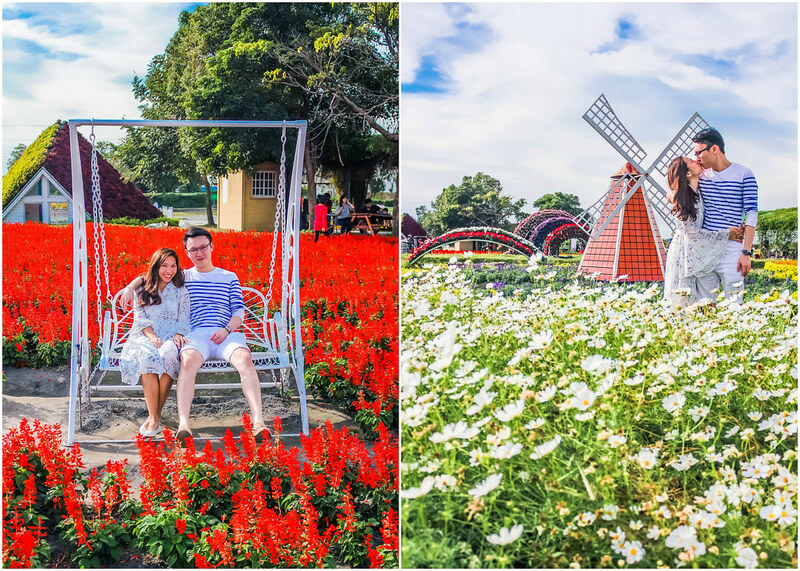 This flower field is 6 hectares large, and features a myriad of blooms throughout all seasons. I wouldn’t call this a flower market. 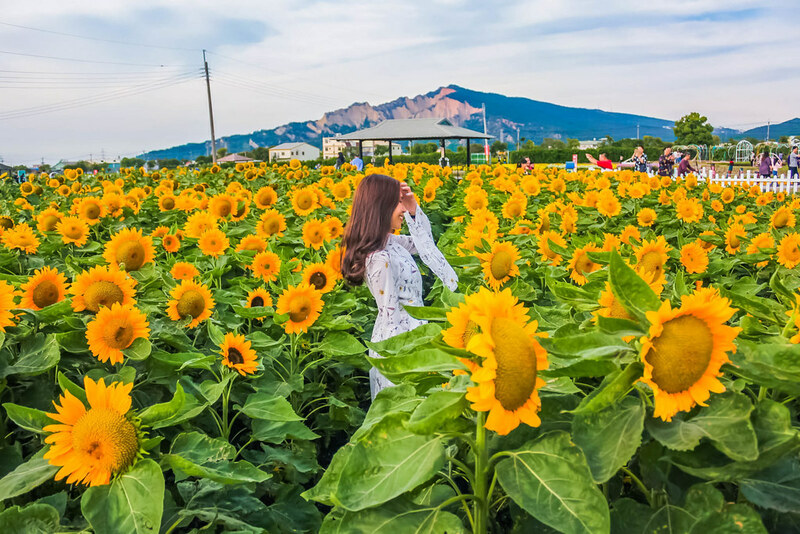 It felt more like attending a flower carnival where almost all corners are picture-perfect. 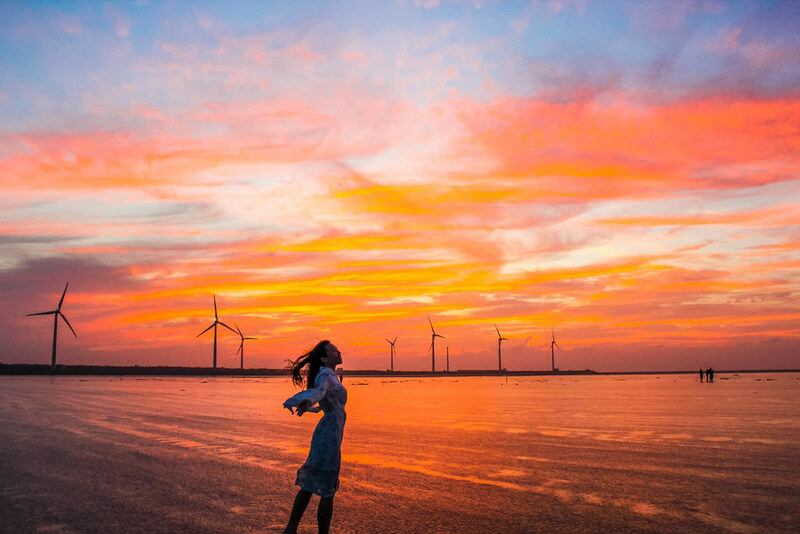 In the evening, I highly recommend catching the sunset at Gaomei Wetlands. This area is more than a thousand hectares in size, with at least 120 species of birds calling it home. 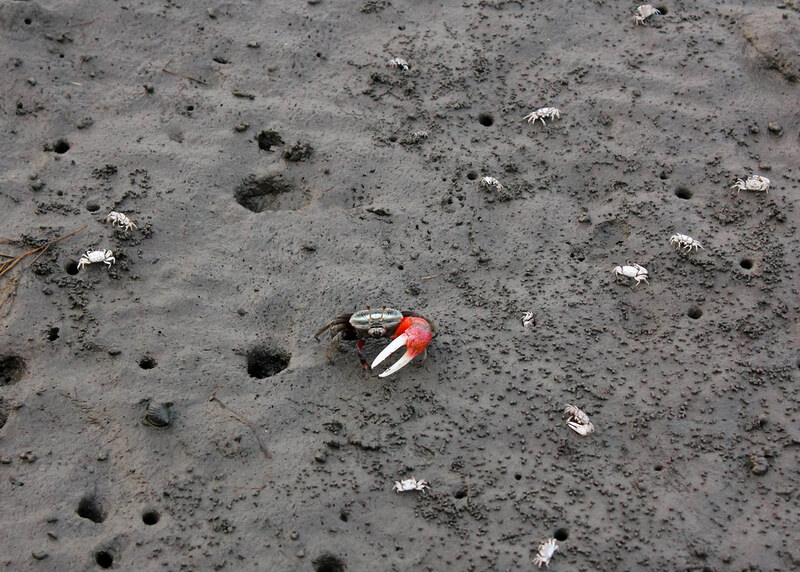 You will often find wild geese, crabs, and mud-skippers on this grassy and muddy tidal flats. 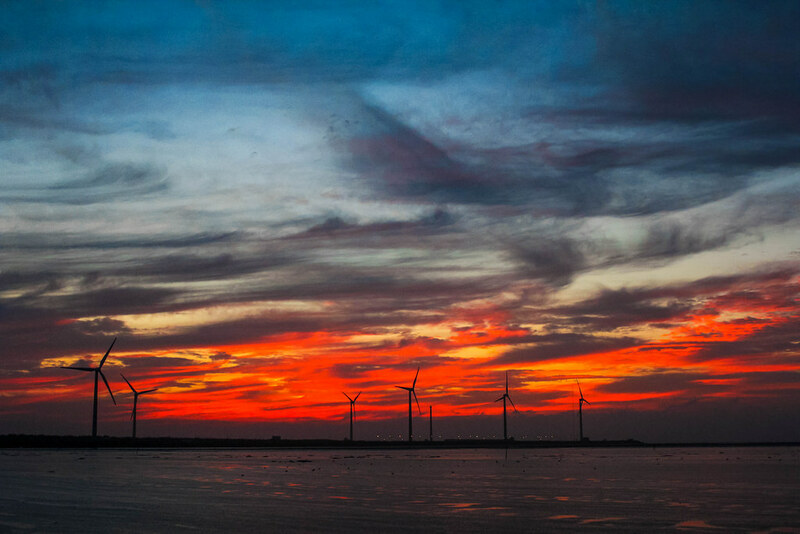 The highlight here is the windmills standing proudly on the wetlands. You can either choose to sit on the boardwalk to enjoy the sea breeze and watch the beautiful sunset, or take off your shoes and feel the softness of the wetlands between your toes. Opening Hours: The boardwalk is closed during high tides. 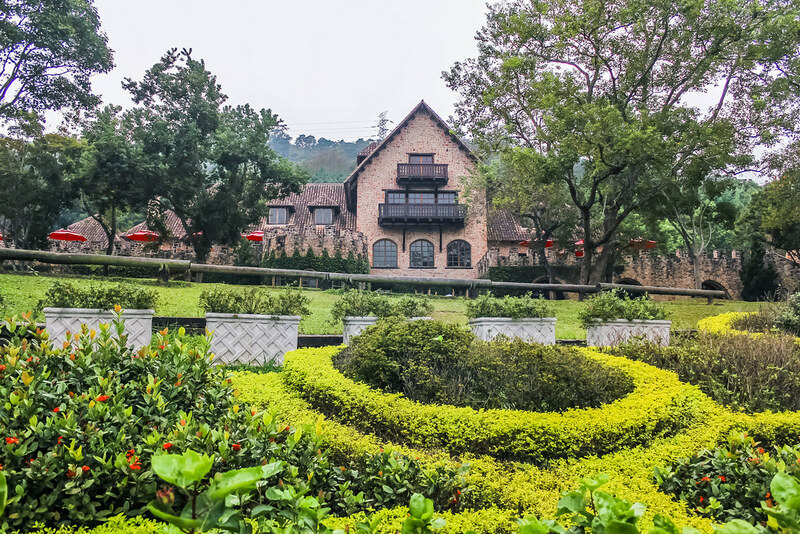 Xinshe Castle is situated in the mountainous area of Taichung. This medieval themed attraction made us feel as though we were in Europe. 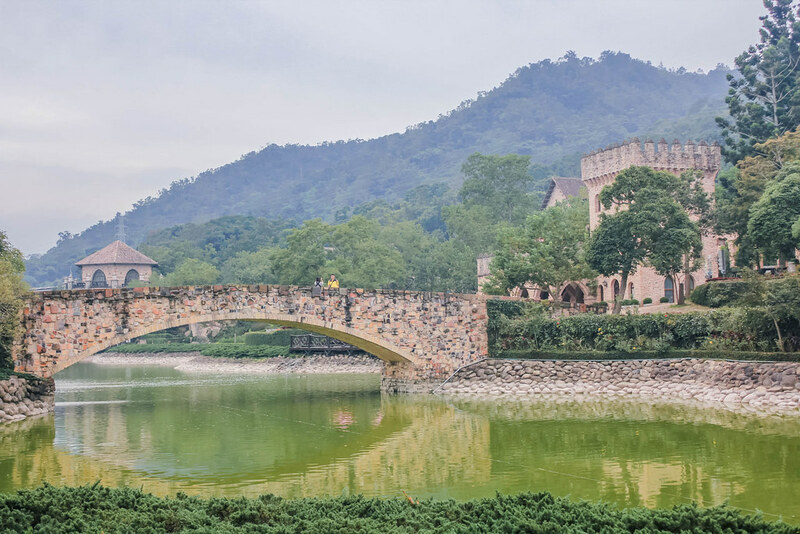 From Roman pillars and fountain to wooden houses and a secret garden to an impressive waterfall, there are many great photo spots at Xinshe Castle. This romantic setting is a popular destination for pre-wedding photoshoots. Imagine your favourite fairytale being brought to life! Opening Hours: Weekdays 9am to 6pm. Weekends 8am to 6pm. The restaurant is open from 11am to 5.30pm daily. One of the best ways to enjoy a panoramic view of a city is to ascend the highest lookout point. Wang Gao Liao is the peak of Dadu Mountain in Taichung. My boyfriend and I drove up in the evening, and were rewarded with the combination of the dazzling night scenery of the city and the sparkling lights of the stars and the seaside towns. 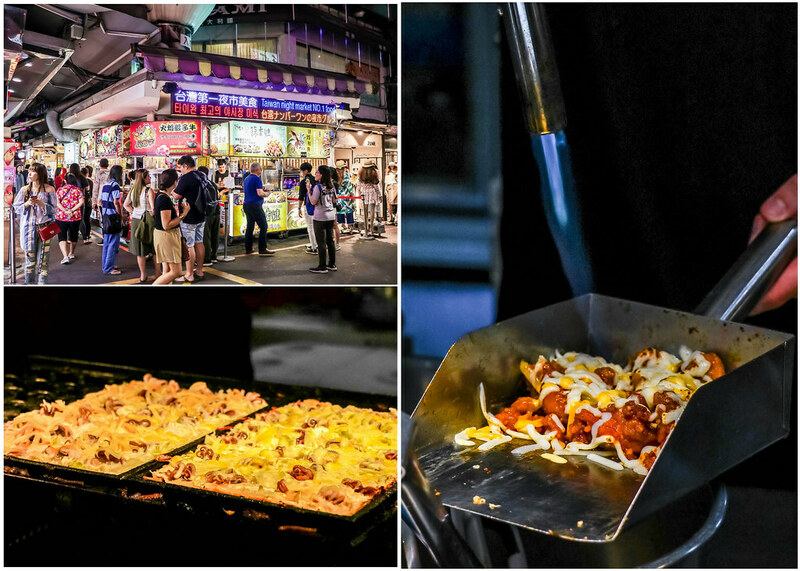 Make Feng Jia Night Market your final stop before catching up on your beauty sleep. 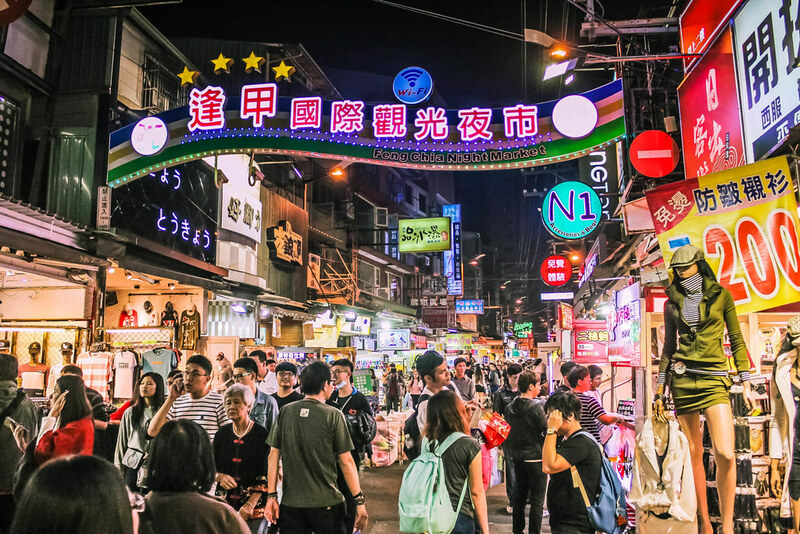 This night market is the largest, most popular, and most interesting one in Taichung city. 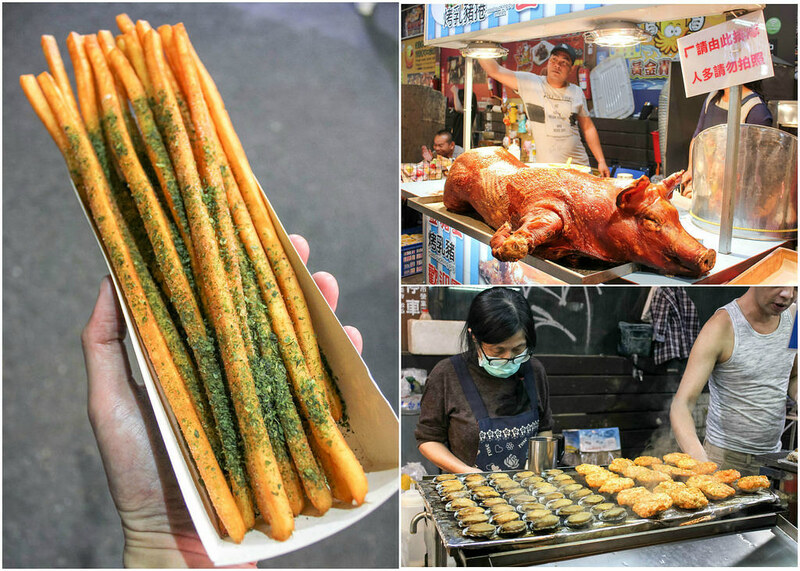 There is an abundance of enticing food such as sausages in sticky rice rolls, crepes, octopus meat balls, super tall ice creams, extra long French fries, XXL fried chicken cutlet, suckling pig, and many more. I’m not sure how much time you have before catching your flight home from the Taoyuan International Airport. 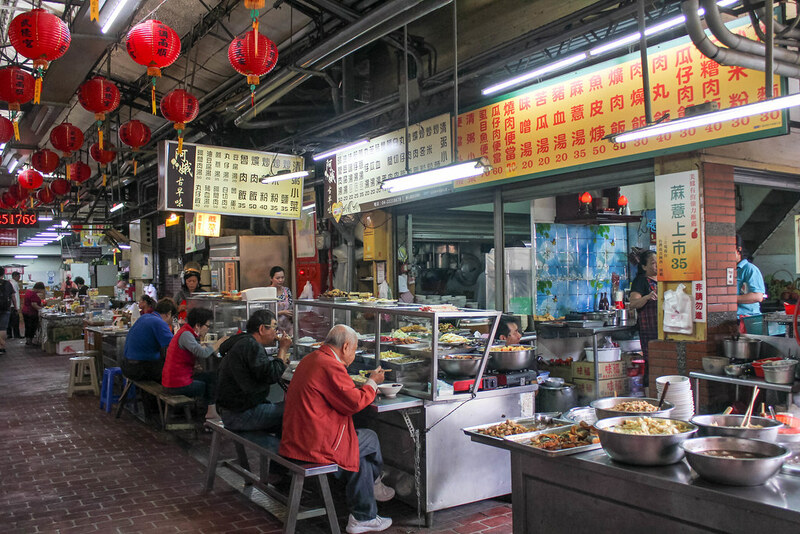 If you can still squeeze in some time in the morning, head to the Taichung Second Public Market for breakfast. I love the springy local noodles! After breakfast, it’s quicker, more convenient and fuss-free to return your rental car and catch the High Speed Rail to the airport. 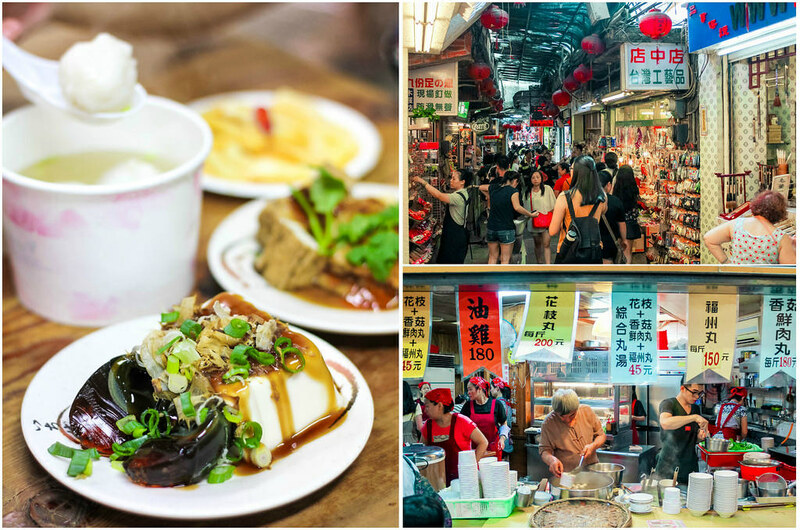 I hope I have covered all the major attractions that are worth visiting in Taipei and Taichung, coupled with shopping destinations and scrumptious food options. Hope you’ll enjoy exploring Taiwan as much as my boyfriend and I had. Hi Jocelyn, we rented with Hotai – https://www.rentalcars.com/en/city/tw/taipei/hotai/ and it was around $800+ SGD for 8 days if I remember correctly. Hi may I know where’s this Pirates Beach or Camel Rock? Can’t seem to find them on Google Maps. Thanks for your great and informative articles! Hi Dave, for Pirate’s Beach aka Pirate’s Cove, these are the coordinates. As for the Camel Rock, or otherwise known as Camel Mountain (Wanli), this is the address: Dong’ao Rd, Yeliu Village, Wanli Township, New Taipei 207, Taiwan. hi Alexis, im goin taiwan for d first time with mu husband this May. Found ur post n i thk it helps me a lot in planning d trip, thanks! =) May i knw if u n ur bf drive urselves all d way round to all of d destinations mentioned? 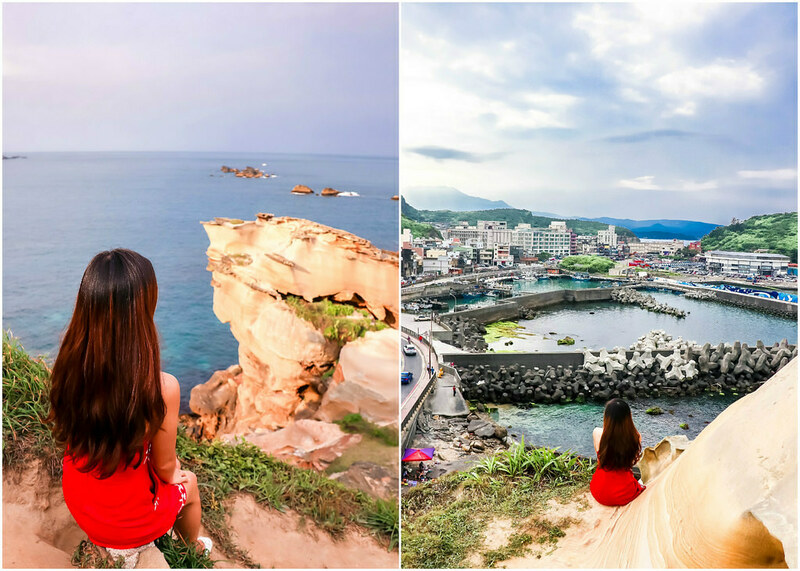 including the 10D9N Taiwan itinerary? Because me n my husband dont hv international driving license n just thinking about chartering a car for our 9Ds trip.. Any advice for us? or chartered service recommendation? Hello Leena, sounds exciting! Glad the article helped. My boyfriend and I drove all the way around to the destinations. We only returned the car back in Taipei city, and used the public transport in Taipei city. For chartering a car, I highly recommend Eason. He goes by his nickname, “Cola”. You can check out his Facebook here https://www.facebook.com/hao.ge.73, and let him know Mu Qin recommended you. Perhaps, he might offer some discounts (: Hope you’ll enjoy Taiwan with your husband! Hi, may I know is it hard to drive in taiwan? Hi, it isn’t difficult to drive in Taiwan. Depending on where you come from (I’m from Singapore), you might have to get used to left-hand drive. Your photos are so beautiful. Love the story and the sights! Going to have to add some of these to my to-do list. Thanks Kevin! Hope you’ll have a great time in Taiwan!